Please select an answer before clicking submit. 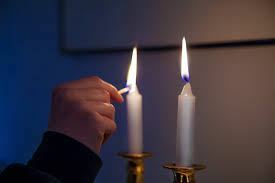 Over which do we bless first during the Saturday night Havdallah service? The order of the Havdallah service is as follows: blessing over wine, spices, and fire. A possible explanation for the precedence of the spices over the fire is connected to the reason for smelling spices. We smell them in order to enliven our souls that are saddened upon Shabbat’s departure. We want to do this first so that we will recite the remainder of the ceremony in happiness. Another reason: we progress from the coarse sense to the more refined one—taste, smell, and sight. Which are longer morning services? On Shabbat, we read more of the Torah than on weekdays. We also pray Mussaf, an additional prayer service. This lengthens the duration of services. Add onto this the rabbi’s speech (we try not to make it too long!) and Bar/Bat Mitzvah ceremonies which also extend the amount of time in synagogue. How many forbidden acts, called melachot, are there on Shabbat? There are 39 categories of forbidden activity on Shabbat. These creative acts, called melachah (or melachot in plural form) are learned out from creative acts performed in the building of the Tabernacle (a portable synagogue which accompanied the Jews through the desert). Zemer means song. Little known fact: there are special songs for each and every Shabbat meal. Many families are careful not to sing a “Friday night meal song” during Saturday’s meal, and vice versa. Why do we have two challahs? In the desert, the Jews received a double portion of Manna (divine food) on Friday afternoons. This was to ensure they would not have to collect food on Shabbat, their day of rest. How many men are called up to the Torah on Shabbat morning? 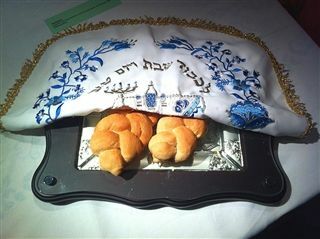 The Torah portion is split into seven parts (called Aliyahs) and read in synagogue. Seven men are called up, one per part, and then an additional one is called up to read maftir (a repetition of the seventh reading). When do we sing Lecha Dodi? We welcome in Shabbat on Friday night with the Lecha Dodi hymn. The two words literally mean: “let’s go, my Beloved.” In the song, we ask God (“my Beloved”) to join us (“let’s go”) in welcoming in the Shabbat. Shabbat will never be less than 24 hours. 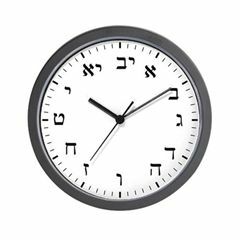 One can extend the Shabbat by accepting the Shabbat earlier on Friday evening or ending it later on Saturday night. However, Shabbat itself always stretches from a bit prior to sunset on Friday night until the appearance of three stars in the sky on Saturday night. 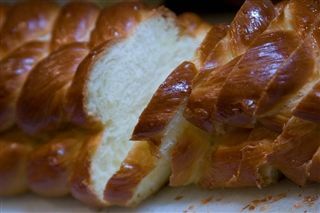 We dip our Challah in salt in remembrance of the salted meat brought on the Temple altar. We want our Shabbat meal to be a holy endeavor, like a Temple sacrifice, and are reminded of this through the dipping of the Challah. 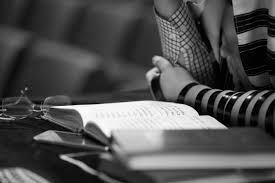 Ways to sanctify one’s Shabbat table: sing songs together, recite Birkat Hamazon, or discuss what your children learned in school this week! Believe it or not, sleeping on Shabbat is promoted in Jewish texts. 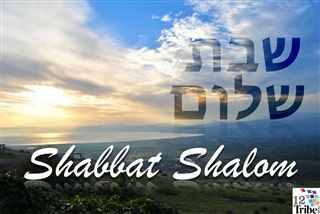 However, the name Shabbat means “rest” and not sleep. It comes from the root SH-B-T, which means to rest or cease. God “rested” on the seventh day and we follow suit—taking a rest from the busy work week and filling up our spiritual batteries for the upcoming one. Two explanations for the kosher signs delineated in Leviticus 11:1-8. One unforgettable day of a Jewish chaplain in a hopsice unit. Click here for the online version. Tips for visiting the sick with one's Mouth, Muscles, and Money (the three M's). Click here for the online version. One rabbi's experience working in jail over the High Holidays. Click here for the interent version. Which of the Rabbinic holidays came first chronologically and what's behind their apparent opposing customs. How to play: Write down several numbers, ranging from 0-18, on blank paper, one number per sheet. Lift up one of the sheets in front of the participants and ask them to name things associated with that number connected to Pesach and the Seder. Use the associations on this sheet to enhance the conversation. Knock knock jokes. Funny matzah jokes. Bubby jokes. And more! Games, jokes, songs, activities, trivia, and more for your enhanced Seder experience! Adam and Eve ate an apple; one needs a rabbi's blessing to deem a food kosher; Jews with tattoos can't be buried in a Jewish cemetery; and more! Some background and information on gematria: the numberical value of the Hebrew letters. A summary of the five central stages of the evolution of Jewish law. Four Psalms (23, 51, 121, 130) often recited in times of distress. 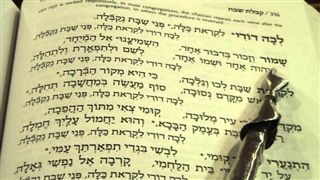 A list of personal affirmations alongside their sourcing from Jewish sources. 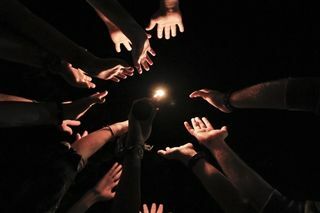 How to approach Hashem in one-on-one prayer. Excerpted from here. 5. 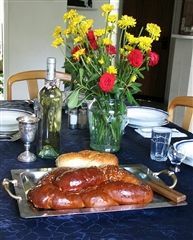 Why Do We Eat Two Challahs on Shabbat? 7. Pass the Salt, Please! 9. Sleeping on Shabbat is Pleasurable! 10. How Did Cholent Become Such a Jewish Food?